2018 was a year where we saw some of the best new drones and quadcopters released by DJI, Parrot, Hubsan, JJRC, and WLToys. These five manufacturers can be trusted to design some amazing drones that not only look cool in the air, but that are fun to fly as well. This was all good news for the drone enthusiast, as they tire of their older models and want to buy the fastest and newest on the market. Many drone collectors are also finding great ways to display their drones on the shelves of their recreation rooms at home. This provides a chance to enjoy your drones, even when they’re not soaring through the sky. Between these five manufacturers there were seven drones that stood out in the past year. Some were brand new releases, such as the Phantom 3, which was eagerly anticipated for nearly the entire year, and when it finally came out, it did not disappoint. Others are renewed models, such as the Parrot Bebop 2, or the Hubsan X4. Some of the best drones keep on getting better, as their design is carefully reevaluated and improved upon. Drones just flew off the shelves last December 2015, leaving the latecomer with whatever remained. Perhaps later this year, stores and online shops will be better prepared to keep up with the demand. Still, many drone buyers shop directly from the drone manufacturer’s online shop to avoid disappointment. It’s also a great way to keep up with the latest releases, as the drone makers send out notices to those on the email lists. Year 2018 looks very promising for drone entusiasts as you will get to see newer models with much advanced technology being incorporated in every model and we promise, you will be spoilt for choices looking at the variety of features they have to offer. Will DJI, Parrot, Hubsan, JJRC, and WLToys have some brand new releases, or will they be redesigns of these current seven best drones? For now we’ll have to be satisfied by adding these best drones to our shelves until newer drones show up in the stores. It seemed like DJI spent the greater part of 2015 preparing us for their new release of the Phantom 3 4K. People were spending months speculating on what great features it would have, and what it would look like, until it was finally released before Christmas. For the most part, the predictions were true. Certainly DJI was doing some of the gossip, steering the predictions in the correct direction. 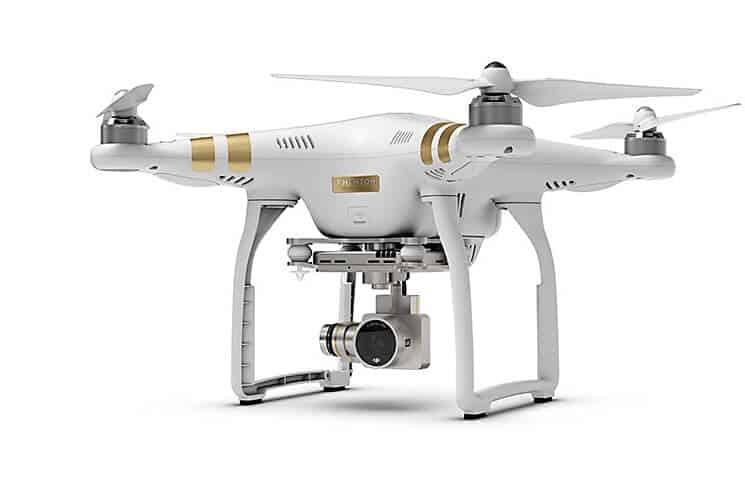 The Phantom 3 4K has a shiny white casing and two gold racing stripes on each of its four arms. Each of the blades is white. There are two D shaped landing legs that protect the camera gimbal and camera that hang from the bottom of the body. The name of the Phantom 4K is embossed onto a gold rectangular tag that is attached to the drone, showing that this is definitely a premium model drone. This drone is built on a three axis gimbal. It can be flown indoors with its internal vision positioning system. The radio controller is in a matching white color and has a more compact shape than usual controllers. There is a pop-up full color screen to watch live streaming video. It can link with the DJI GO. The camera will shoot 4K video at thirty frames per second. It can also take snapshots at twelve megapixels resolution. The radio controller is built with WiFI technology, and you’ll be able to fly your drone out to a distance of 1200 meters, while still being able to control it. There is some impressive flight time on this drone. One charge will give you up to twenty-five minutes of flying time, making the price worthwhile. The intelligent battery will let you know how much power you have at any point, and when it is time to bring your drone back home for charging. There are also some new functions, including: follow me, course lock, waypoints, homelock, and point of interest. DJI included a lot in this drone to keep you entertained for hours. Everyone was waiting for sticker shock, but the final price of the Phantom 3 4K ended up being under $800, which is steep, but not as bad as the Phantom enthusiast was expecting. There’s a drone for everyone, and the DJI Inspire 1 Pro Raw has been designed for the professional videographer. With its steep price tag of around $5000, depending on kit, it’s out of reach of most hobbyists. This drone has an elongated white body with the camera gimbal and camera hanging directly below. There are four long arms with four black blades. Four I shaped landing legs protect the drone and camera. The DJI Inspire 1 Pro comes with a remote controller. It has live wireless HD video transmission to your smart device through the DJI Lightbridge technology. This drone comes with a 4K Zenmuse X5 camera. The gimbal is built with a three axis stabilization system to enable for steady smooth video images. You can shoot images in 360 degrees, and they’ll be completely unobstructed. The Zenmuse 5 camera has been specifically designed to take amazing aerial images and video. 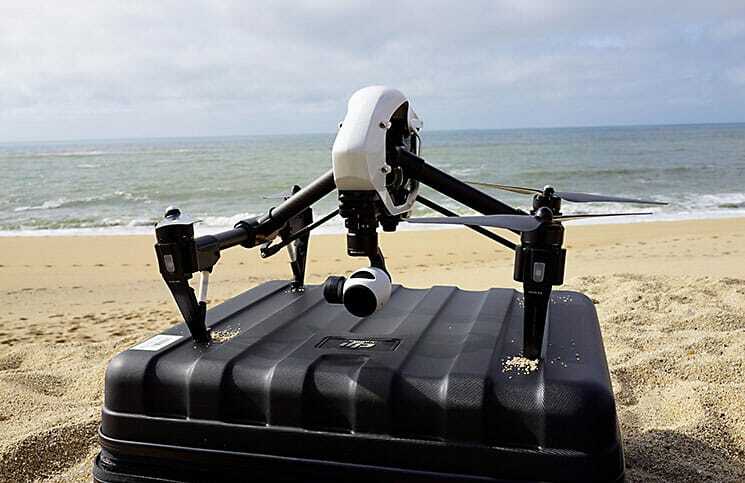 This drone is made for the professional photographer or cinematographer who wants to add an additional tool to the services they offer to clients, or for a company. The Zenmuse camera provides exceptionally clear images and film that simply isn’t available to one of the other drones on the market today, which are toys at best. DJI makes it simple to fly the drone and to control the camera remotely, while the drone is flying it through the air. You’ll find you can shoot and finish jobs quickly and effectively with the DJI Inspire 1 Pro. You’ll be able to fly your DJI Inspire 1 Pro drone out to a distance of 1.2 miles, but there is an extender kit (optional), that will get your drone out out to more than three miles. The DJI Inspire 1 Pro is built in a ready-to-fly aerial system so the buyer won’t have to worry about piecing it together from the box. Simply remove, charge up, and go. There are some sturdy metal parts built into this drone to increase its durability outdoors, which gives a better understanding of where DJI put its costs into this product. 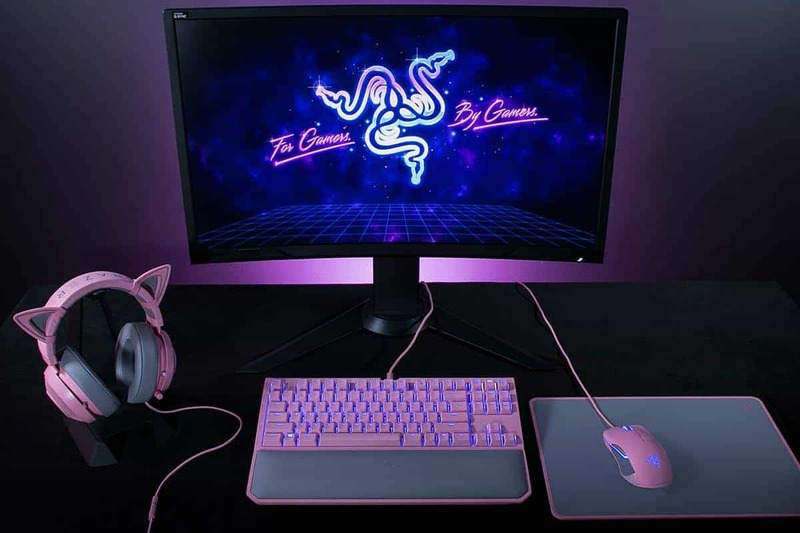 And since it’s a a pro model, there are a lot of additional products that you can add to it to increase its functionality. The Parrot Bebop 2 has a distinctive shape that many will be excited to fly on the field. The Bebop 2 looks like a premium brand of drone. It has a wide oval plastic body, four extending arms with two black rotors and two white, four short landing legs, and a forward facing camera. The power of this drone will fly it out to amazing distances while in the wilderness, so you can capture some crisp and clear photographs and videos. It’s also durable, to withstand bumps and crashes. The plastic casing can bend and adapt if the drone bounces against trees or walls. The four propellers built into the top of each arm are built with safety in mind. Not only do they bend easily, but if they hit anything, they will immediately stop. This is good to know if you have pets or children around, that they will come to no harm. Like other drones at a premium price point, you expect them to have a longer lasting battery life. It will fly for twenty-five minutes before needing to be charged up again. This is especially important if you’re flying it over a canopy of trees, or over a lake, as you want to ensure you capture your cool video footage, but have enough power to bring your drone back home again. You’ll be able to fly it out to a distance of three hundred meters. The Parrot Bebop 2 can be flown in moderately windy conditions, unlike other drones, so you can capture the video footage you need. Besides the Bebop 2 being lightweight and compact, there are some other great features. The video can be streamed to your smart phone or device. You’ll be able to focus on capturing great video and images, rather than learning how to fly it. The Parrot Bebop 2 does not come with its own radio controller, but you can buy one as an additional purchase if you feel that you prefer to have one. You can purchase this drone for around $550. The Hubsan X4 Pro FPV is the company’s proud offering to the professional photographer or videographer. You can purchase this drone for around $850, but expect to want add ons which may cost you another $600. It can all add up. This drone has a durable yellow and black casing. It has four black propeller blades and two D shaped landing legs. Between its legs are the camera gimbal, with camera. This drone looks quite sturdy, with a precise control system and a fail safe. The Pro FPV has some great controls to help you film the best possible video. There is a position hold, which is handy for shooting film. A return to home feature will get your Hubsan safely back to you before you run out of power. There is also built in GPS and a compass sensor to help with navigation. It comes with a 1080 p high definition camera. It sits on a three axis gimbal that allows for rotation to take stunning photos of the surrounding scenery. A radio controller is included in the box, which is a black rectangular shape. At the middle of the controller is a full control LCD screen so you can watch live streaming video as your drone flies through the air. This is actually a touch screen, providing you more ease of control, particularly while you’re trying to record video at the same time. The drone will be ready to fly, right out of the box. You’ll be able to fly your drone out to a distance of 1000 meters. There are also options to hold your drone’s position, and to keep it hovering. You’ll find that your video will be stable and clear, just like if you were filming on the ground. You can also set up to ten waypoints, so your drone will fly around this circular or oval flight path, capturing some great video along the way. For people who can’t afford the professional Hubsan, the Hubsan FPV X4 Plus is a good compromise. This is a smaller drone in a white plastic body casing and a black window. It can fit in the palm of your hand. There are four sturdy landing legs, and four black propellers. This drone has two distinct blue lights and two orange ones, to help you to see it at a distance. There is also a large square black radio controller with full features, including WiFi FPV to allow first person view streaming video on its full color screen. This is called the world’s first FPV quadcopter, as while there are other compact quads that do film video, this is the first to have live streaming video to the full color screen on the radio transmitter. There’s a camera built directly in the body of the X4 Plus, so you don’t have to attach your own camera or gimbal. The camera is of a 1280 x 720 p resolution. This drone is built with a six axis flight control system, which must be one of the first compact drones to have it. This provides better wind stability, which is needed when a drone is this small. The Hubsan X4 Plus is capable of doing some great moves, including a 360 degree eversion. There is also a precision altitude hold, which will also help when you’re shooting great videos. There is also a headless (IOC) mode so you don’t have to worry about whether the nose is pointing forward or not. But you may wish to turn it off when shooting video. The price of the Hubsan is around $170. If you flip the Hubsan over, you can find the on and off button on the underside. There is an SD card slot which you can insert if you wish to record photos and video. You’ll have to purchase this separately, as one is not included in the box. The battery pack is also removable, so you can remove and replace for more flying time outdoors. The JJRC H26D is a nice compromise when you want a great drone with camera, but don’t want to pay a high price for that privilege. It’s priced around $120. This drone is in a bright lime green color to make it distinctive in the air. The four propellers are white, with two black T-shaped landing legs. A small camera extends from the belly of the drone. The camera has a 120 degree wide angle lens to take video of more of the landscape. It would have been nice to have a three axis stabilizing gimbal on this drone, so it probably won’t suit the pro photographer, but for those who are looking to extend the fun of their drone, it provides a nice compromise when compared to an affordable price. This drone comes with a square black radio controller, with blue buttons and highlights to make choosing the right button easier. It has a black carry handle. There is a small LED display screen, but it’s only to show current settings and not to show video. There are still some great features in this drone, despite it’s reasonable cost. It has a button that can be pressed when you feel your drone is getting out of sight, so it will return to home for you. The drone is also built with a six axis gyroscope which aids with flying, and will keep it stable in the air as you fly. A headless mode will help you to fly no matter which orientation the nose is pointing. Of course you may wish to turn it off when filming video, as you may get film that isn’t quite what you were expecting. The drone can do 360 degree turns and rolls, as well as side flying. One distinctive feature of this drone are the LED lights. Most drones have only a few, but these actually outline the shape of the drone, making it appear more like a UFO when flying it at night. The JJRC H26D measures about 18.1 by 17.9 by eight inches, so it’s a full-size drone for people who are seeking something sturdy to play with, rather than a toy that fits in the palm of the hand. The WLtoys Q242G is a compact drone in a black plastic body. It’s a bit larger than the palm of a hand. You have the choice of two propeller colors: either 2 red or two green. The drone sits on four short landing legs. This drone also comes with a camera, making it a great deal at its $110 price tag. This drone may not challenge Hubsan’s claim to have the first HPV compact drone, but it’s certainly a best second. The plastic body and frame are lightweight, but still provide some solid durability in case you accidentally crash it. It will be good to know that you won’t break the camera inside. This drone has also been built with six axis gyro technology, which enables it to stay in the air. Besides being easier to control, you’ll find that the gyroscope gives it some nice wind endurance, so you don’t have to bring your toy back inside if it starts getting a bit windy out. Of course it won’t withstand extreme conditions so you’ll need to use your judgement. The camera is actually built into the body of the drone. It can take two megapixels of resolution. You won’t need to worry about fiddling around getting a gimbal and camera installed, as it has been done for you at the factory. There is also a small radio controller included in the box. It is black, red, and gray plastic. There is a live streaming FPV video screen, making this an attractive purchase, as most controllers with this feature increase the price significantly. The radio controller operates on a frequency of 2.4GHz. This drone can perform some great moves, including 3D rolls. If you’re flying it at night you’ll appreciate the colorful LED lights. These will help you to see your drone at a distance, while also providing some nice ambiance for those who wish to play “UFO” or some other such game. It will take about an hour to fully charge up the WLtoys drone. This will give you about ten minutes of flying time, which isn’t the best, but what do you expect at this low price? You’ll still be able to fly your drone out to a distance of fifty meters. Inside the package you’ll get your quad with radio controller, a USB charging cable, a memory card and reader: nice because often you have to purchase these separately, batteries: again you don’t need to purchase separately, and a manual and a battery carrying bag. If you’re searching for the best drones for 2018, you’ll want to examine the seven choices above. There are choices for nearly every price range and purpose. Some people need new drones and quadcopters to run their business, while others simply want one to give as a gift, or to have fun outdoors. 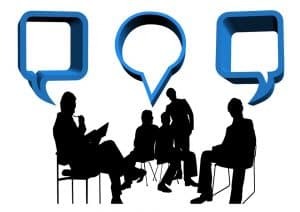 Many people choose to form their own drone clubs, which provides a chance to fly a variety of different models and types before choosing which one to buy. No matter which drone you choose from this list, you’re guaranteed to have one of the best drones for 2018.